elfa® is The Container Store®’s best selling shelving and drawer system that is completely customizable for your storage and organization needs. 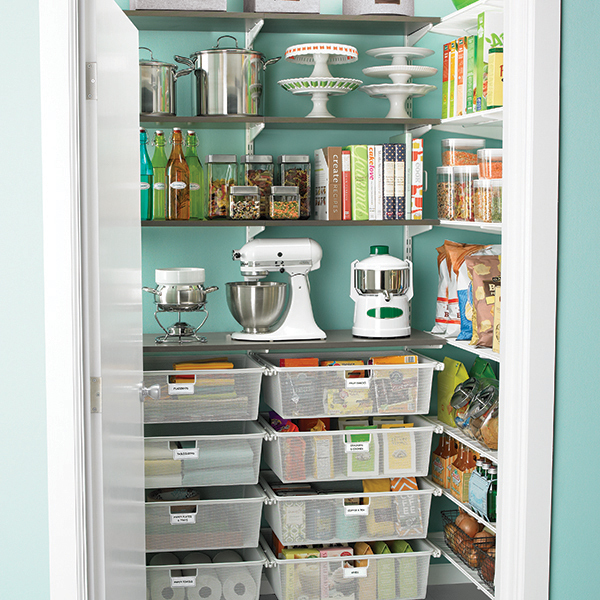 elfa® is perfect for any area of the home, including closets, garage, office, pantry or laundry room. During your consultation, we will measure your space, take an inventory of the items to be stored, take into account your unique lifestyle needs, and make suggestions for living a more organized life. elfa® designs are submitted to you typically within 3-5 business days of your consultation. Sustainably Organized can guide you through the beautiful collection of high-quality organizing products available at their stores and online. elfa® is the most sturdy, attractive, and flexible modular closet system in the market and we at Sustainably Organized are proud to bring the beauty of elfa® to your home. We believe organized living should be both customized to your lifestyle and be inspiring. TCS Closets™ is both. TCS Closets™ is the built-in closet experience that is exclusive to The Container Store®. Sustainably Organized gives you the full package: a styled space that is organized and custom-designed just for you. During your consultation, we will take an inventory of the items to be stored, take measurements of your space and help you select from the exclusive finishes, styles and accessories for your new closet. Your TCS Closets™ Design appointment will take place 5-10 business days later, in your home or the TCS Closets™ show room at The Container Store®.